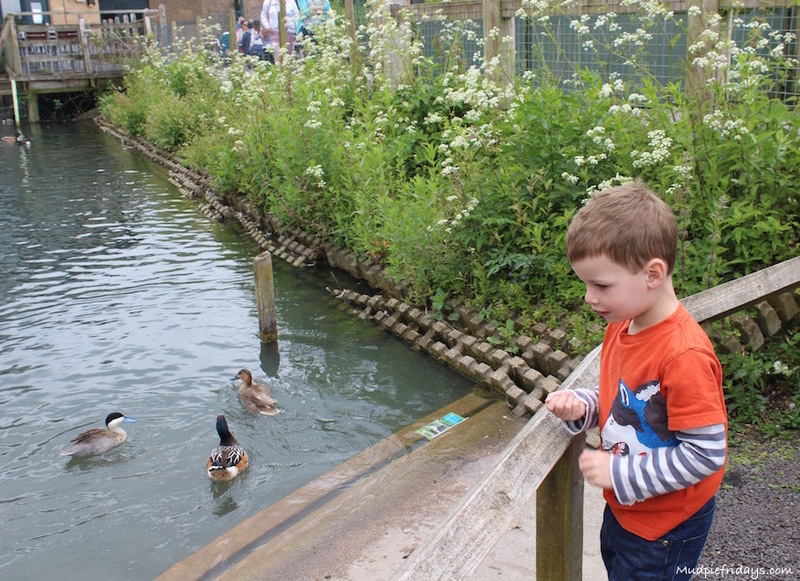 On Bank Holiday Monday we headed over to Arundel to check out the Giant Lego Animals at the Wetland Centre. Monkey is a big fan of lego, coupled with a love for being outside it seemed the perfect day out for him. However I did wonder if there would be enough to keep him entertained, but as we discovered there is loads to do there and we had a great day out. We arrived in the middle of the morning and the carpark which is attached to the centre was heaving. Thankfully the parking attendant took pity on us and managed to squeeze us in otherwise it would have been a long walk with the pram! It is a large carpark its just that it was Bank Holiday weekend. The entrance has the shop to the side and there are a number of lego items for sale including smaller replicas of the models on the trail. Be warned though as they are not cheap! They also offer lego workshops which we did not take up with Monkey fearing he may be a little young. They need to be booked in advance, I’ve had other friends which have done them with children (aged 4) and have had a great time. At the entrance we were given map which had all of the animals on it and on the back a space to write the number of bricks in each model. The idea is simple you walk around the trail, fill in the number of bricks from the sign next to each one, and then post your finished entry in the box at the end. The winner will be drawn once the trail finishes on the 26th June and will receive some lego. Also on the signs it tells you how long each model took to build, the number of man hours that went into the trail is amazing. The first enclosure you come to has a machine which takes 20 pence pieces in return for bird food. It only takes 20ps so make sure you have a pocket full of them and something to put the bird food in! Although you can only feed in certain areas, but show me a child who doesn’t like to feed the ducks? 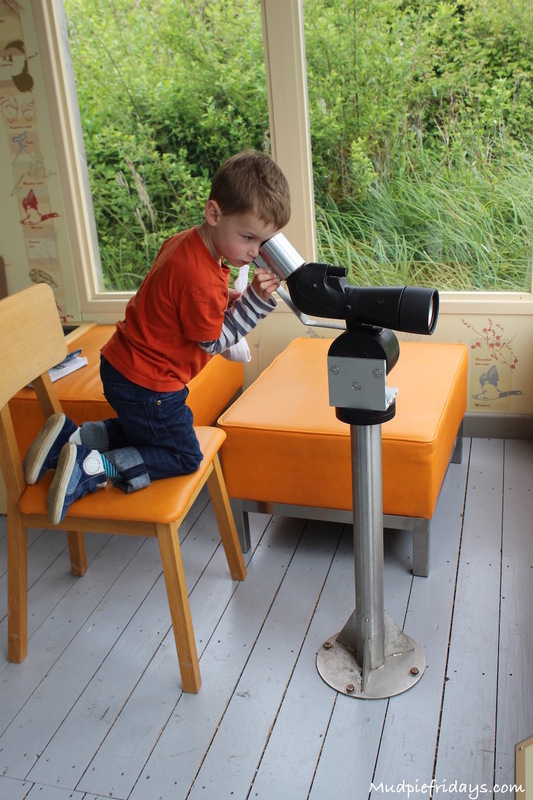 There are various hides around the wetland some are equipped with telescopes which Monkey found fascinating. You can also hire binoculars at the entrance. Typically we got half way round and I needed to return back to the cafe at the beginning to feed Kipper. The cafe has plenty of seating inside and some outside, it serves the normal cakes and drinks as well as children’s lunch boxes and some hot food such as jacket potatoes. Hubby took pity on me and brought me the biggest slice of chocolate orange cake I have ever seen. 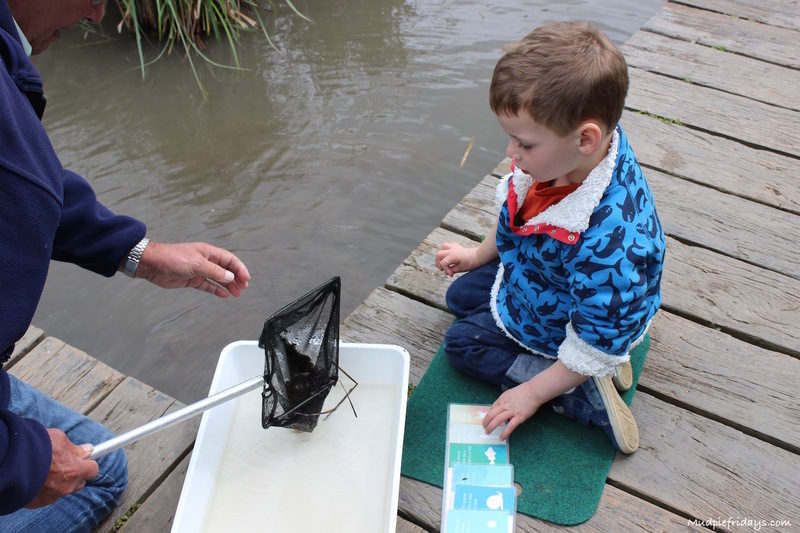 After our stop off at the cafe we took the opportunity to try out the pond dipping which runs at the weekends and during the school holidays. Monkey was very excited, we had to wait ten minutes or so as they can only allow a few families in at a time. He has never done pond dipping before and wanted to find a newt. Unfortunately we didn’t manage newts but we did manage a snail, some blood worms and a shrimp of some kind. I thought that was pretty good going, I suspect if you went to the morning session then you would probably find more. There are magnifying glasses at the entrance so that you can check out your finds in more detail. Monkey was very proud of his little collection. It even held his attention for a reasonable amount of time! From the pond dipping we headed over to the little boat trip, also all included in the price. Each boat took around twelve people and they had two running at a time. The trip is fifteen minutes so in busy times you may have to wait a while but it is worth it. They provide life jackets for the under sevens and you get to see all manor of wildlife. Hubby even saw a Kingfisher, I think I was pointing out some fish at the time to Monkey as so we both missed it! What a lovely looking place! 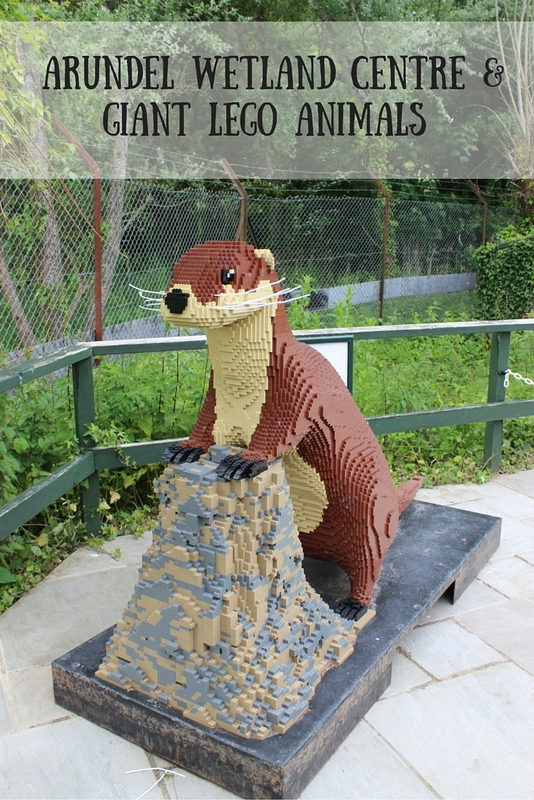 And I love the Lego animals – so creative and colourful! I hate the overpriced toys and stuff at these places, I get why they do it but it’s inevitable the kids will see something that catches their eye and then chaos ensues! What a great place! it looks like your son had a lovely time. 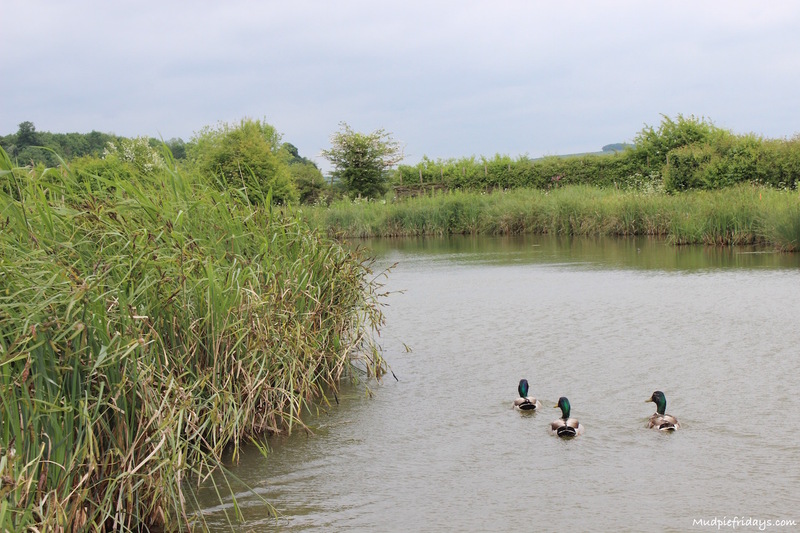 The Wetland centres are amazing – I love our local one in London so I need to check if they have the Lego too as I missed it when they did it before. My daughter was fascinated by pond dipping as well (we had similar luck with tiny water creatures) – and great cake in the cafe. Lovely pictures you got. My kids would love to see these animals. Ah this looks like a lovely family day out. We haven’t reached the lego stage yet – waiting to see if our daughter will be into it or not, but looks like lots to do here, especially with the play areas too. I’ve never been here, but those Lego animals looks absolutely amazing! This looks wonderful. Wow, never mind the kids, my husband is a huge Lego fan and would love to see this! This place looks fantastic for good outdoor fun 🙂 Gorgeous photos.